The city of Leh is situated between Karakoram and the Himalayan ranges, on the banks of the Indus river. 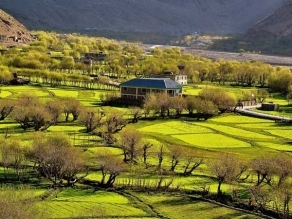 The scenic beauty of the place attracts tourists from far-flung areas all the year round. The greater part of the city is covered with mosques and Buddhist monuments which date back to the 16th and 17th centuries. An ancient, nine storied palace of King Sengge Namgyal of the Namgyal dynasty, which depicts the architectural style of the medieval era, is one of the major attractions of the place. 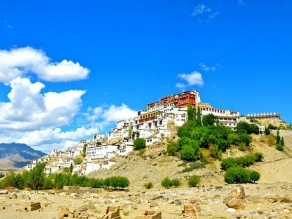 The population of Leh includes a majority of Buddhist Monks, Hindus and Lamas. Numerous study centres including shanti stupas and Sankar gompas enhance the charm of the place. Leh city, over the years, has grown as a trade centre in Central Asia and offers trading opportunities to several self motivated and dedicated business people. Travellers interested in shopping can purchase interesting Tibetan artifacts like jewellery, winter woollen clothes and hand & machine woven carpets. The snow covered Himalayan Mountains add to the scenic beauty of the place. Adventure enthusiasts can take up trekking in the different regions of Leh such as the rugged Himalayan terrains where they can enjoy the natural beauty of the place while Trekking. The ancient historical Jama Masjid, which was built during the Mughal rule, and the Shey Palace, also known as ‘summer palace of the Ladakhi kings’, with its gigantic Buddha statue, are some of the prime attractions of the place. 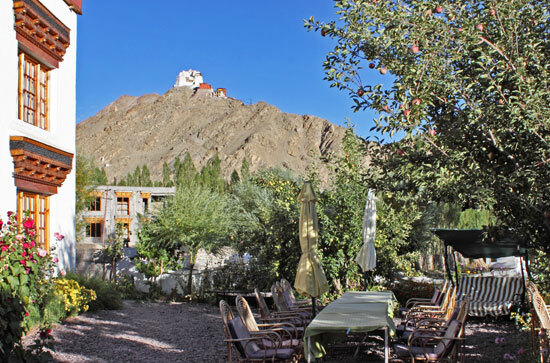 The summer season in Leh extends between the months of March and June and is considered to be the most appropriate time for a visit here. During this season, the weather of the region remains pleasant with a maximum temperature of 33° C. The average day temperature during this time ranges between 20° C to 30° C.
Winters are extremely cold and harsh in Leh. 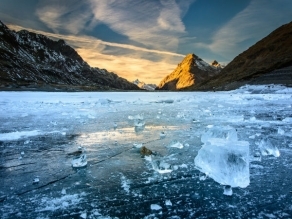 The temperature of the place during this time may drop to as low as -28°C. The place also experiences heavy snowfall during the months between October and February. The extremely cold temperatures can result in frost bite among individuals who are not prepared for the freezing atmospheric conditions. The city of Leh experiences an average rainfall of 90 mm during monsoons. During the months between March and September, the temperature of the place remains temperate making it ideal for a visit to the place. Leh experiences random weather because of which tourists should make sure that they carry windcheaters, woollen clothing, thick socks, gloves, scarves, hats or woolen caps, sturdy boots or walking shoes, sunscreen, lip balm and goggles. This will help them in keeping themselves safe from the harsh conditions of the place. Regular return flight services are available from Leh to Delhi, Jammu and Srinagar. The airport of Delhi is accessible from all the major airports in India and abroad. 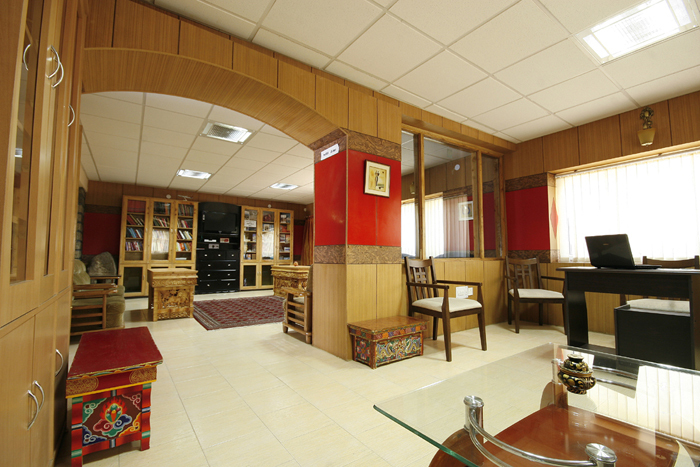 From the airport, Leh can be reached by hired taxis which cost around INR 1000. For tourists who wish to travel by rail, the Jammu railway station is the nearest, located at a distance of 734 km from Leh. Apart from this, tourists wishing to reach Leh via road can avail the services offered by the Jammu & Kashmir State Road Transport Corporation. JKSRTC provides regular bus services from Srinagar situated at a distance of 734 km to Leh. Another convenient option to reach Leh via road is the Himachal Road Transport Corporation. 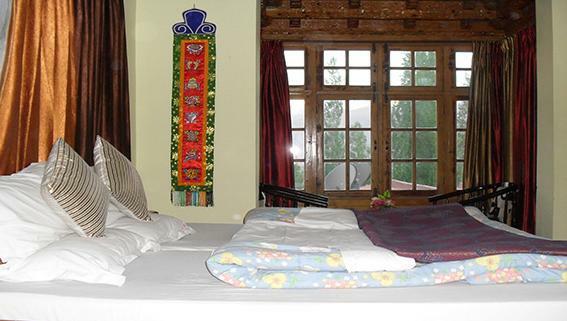 Travellers can also avail bus services to the destination from Manali, situated at a distance of about 474 km from Leh. The Jammu & Kashmir State Road Transport Corporation provides regular bus services from Srinagar to Leh, located at a distance of 700 km. In addition to this, travelers can also avail bus services of the Himachal Road Transport Corporation from Manali to Leh. It takes around 20 hours to reach Leh from Manali on road. The Jammu railway station is the nearest rail link to Leh, situated at a distance of 734 km. 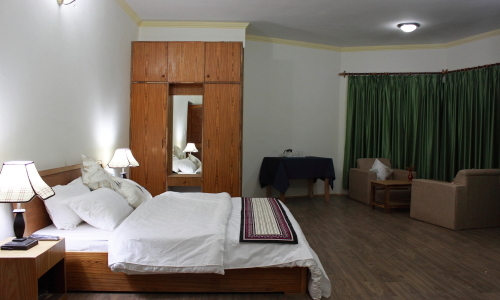 Travellers can also reach Leh from Jammu via Srinagar, at the cost of around INR 1000. The Leh Airport provides regular return flights from Leh to other cities of the country including Jammu, Delhi, and Srinagar. The Delhi airport is in turn well connected to other major cities in India. Leh is also connected internationally through the Indira Gandhi International Airport, New Delhi. Tourists can avail taxis from the Leh Airport to reach the town.